Sent at least three months before the wedding, these cards advise family and friends of your wedding plans and allow them to take your wedding date into consideration when making their own travel plans. While it’s nice to have your save the date cards match your invitation, it is not essential. They often simply reflect the spirit of the event. The rehearsal dinner takes place on the night before the wedding and is given as a courtesy to the bride’s family (typically the groom’s family hosts this event, however the bride’s family or a close relative or friend may also host one). 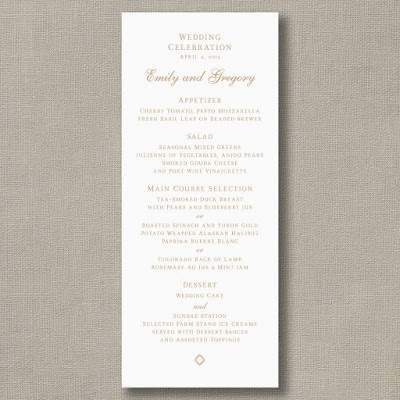 While an invitation to the rehearsal dinner should reflect the nature of the event, it should never compete with or upstage the wedding invitation. Rehearsal dinner invitations are usually worded formally, but many times just first names are used. 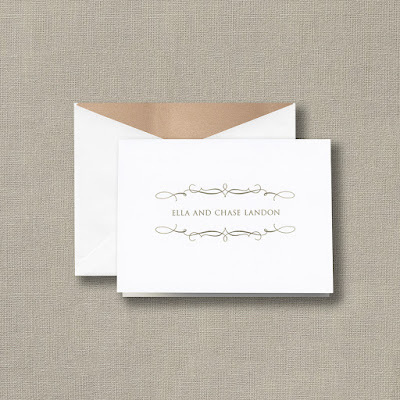 This less-formal style lets guests know how you, your fiancé and your fiance’s parents wish to be addressed. While save the date cards provide an initial glimpse of the spirit and theme of your wedding, your invitation and all the other stationery elements that precede the ceremony truly set the stage. Every element, from the paper stock and the wording to the components of your invitation and the ink color speaks volumes about your affair. A carefully selected and planned invitation set will honor the event as well as those you have chosen to be a part of it. 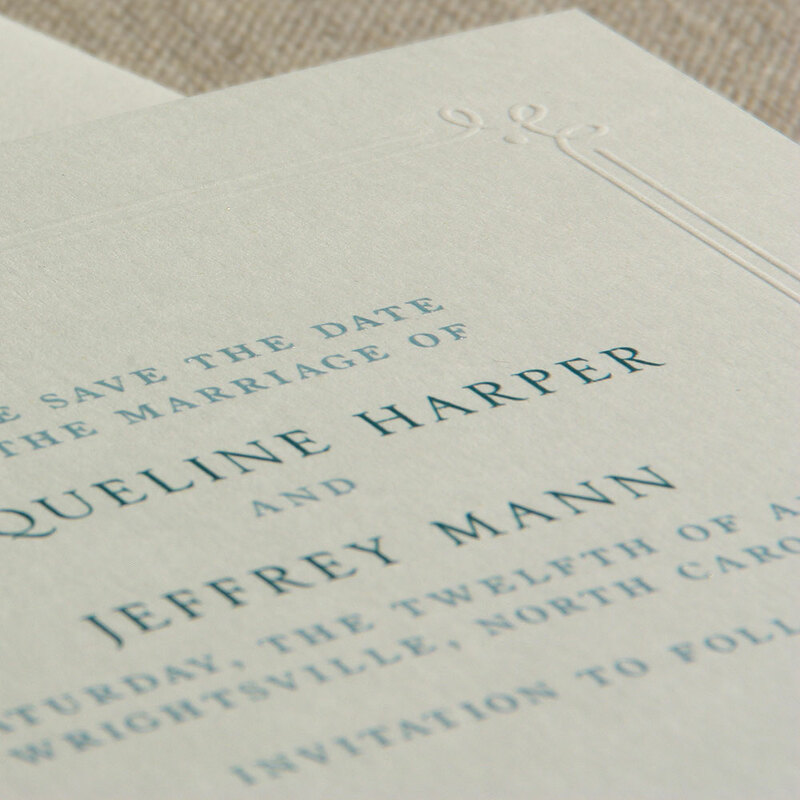 Wedding invitations should be ordered at least three months before the wedding. This should leave enough time for producing the invitations and addressing and mailing them (four to six weeks before the wedding). Response cards can be produced in a number of different formats. All, formats, however, share similar features. 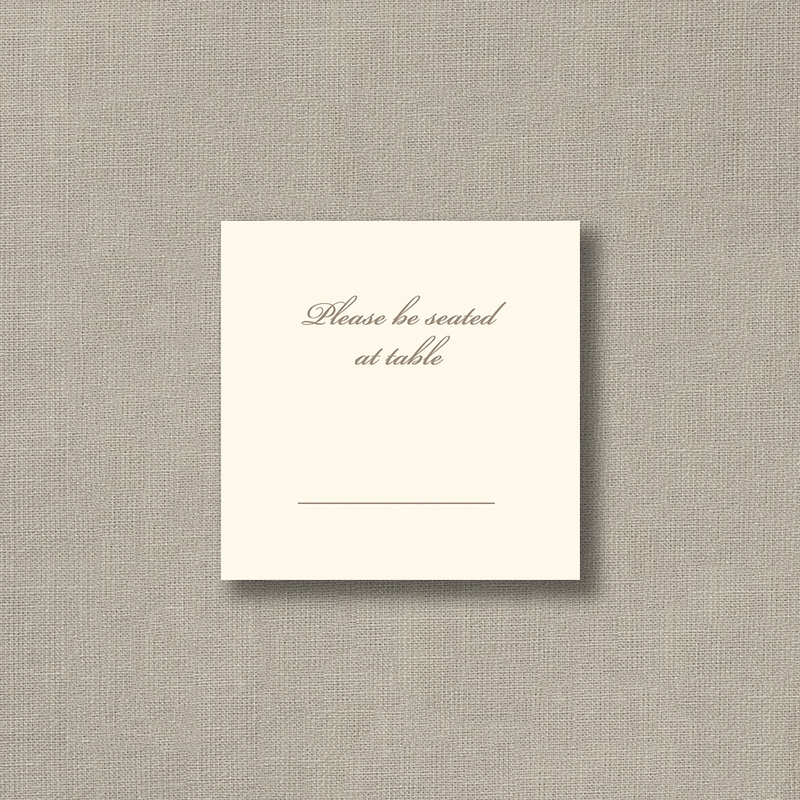 Spaces are always provided for the guests’ names and their responses. A request for a response is always included as well, usually before a specific date. The name and address of whoever will receive the replies appear on the face of the reply envelopes. Accommodation cards are enclosed with the invitations sent to out-of-town guests who are unfamiliar with the area and need to make hotel reservations. They list the names and phone numbers of nearby hotels. If you are paying for your guests’ rooms, a notation to that effect is made on the cards. Direction cards give simple yet explicit directions to your wedding, while map cards are maps with the routes to your wedding highlihgted. Map cards generally feature major roads and landmarks to help your guests find their way. When direction cards or map cards are included, the street address does not appear on the invitations. 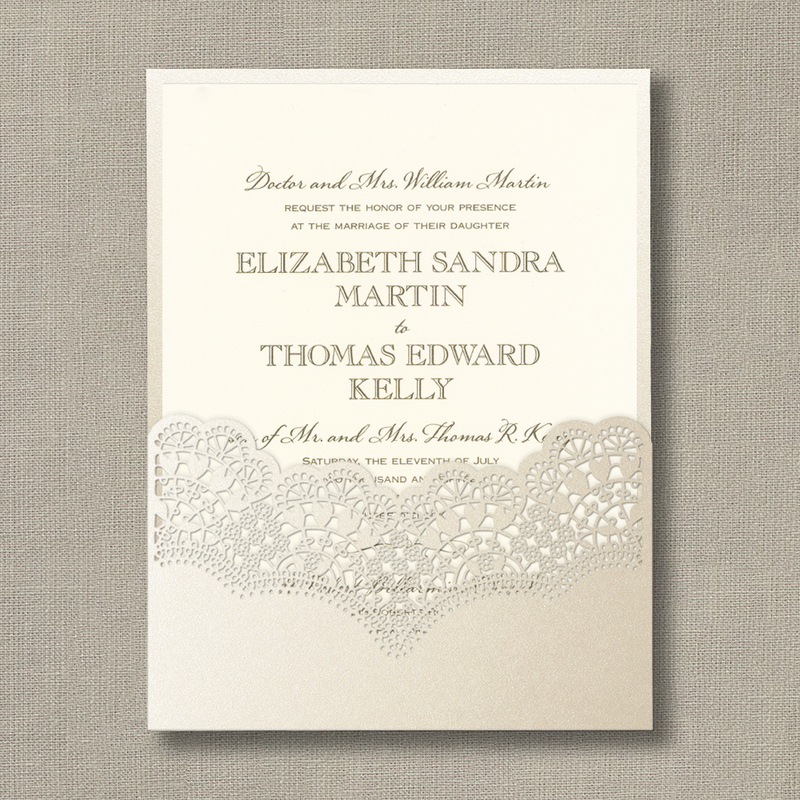 Sent with wedding invitations whenever the ceremony and reception are held in different locations. They contain pertinent information for guests such as the time and place. When transportation has been arranged for guests to an event, transportation cards are included with the invitations. 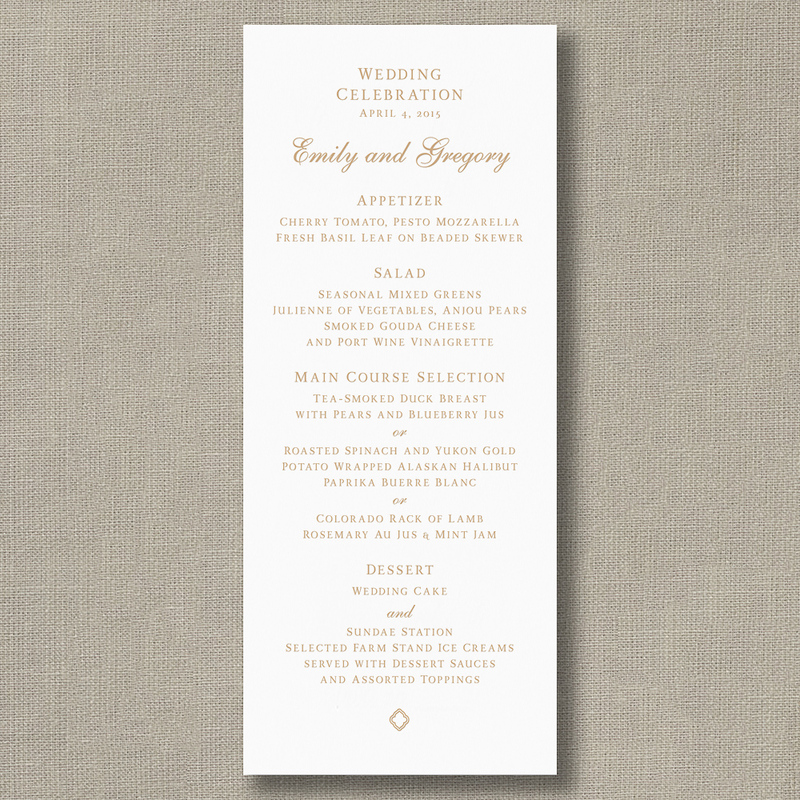 The design of your wedding program should complement your invitation but not necessarily match it. 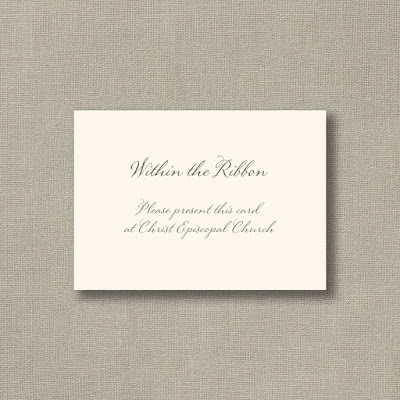 The program should inform your guests of the order of events for the ceremony, who the participants are and any other special notes regarding the reception or other wedding-related information. They may also include expressions of gratitude to parents and guests as well as acknowledgement of a deceased loved one. 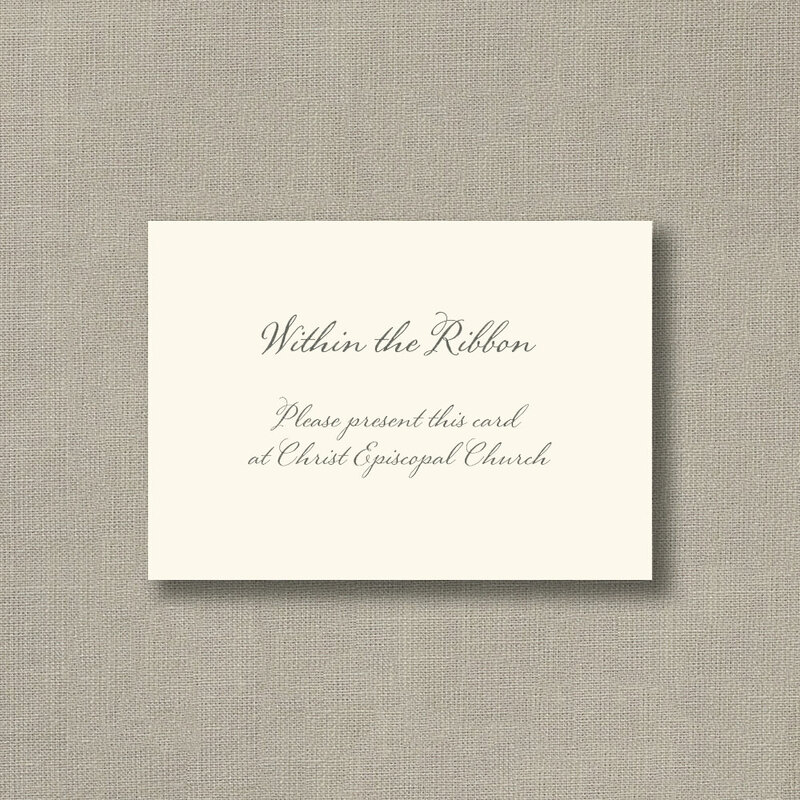 Cards reading “Within the ribbon” inform ushers that guests should be seated in special sections identified by a ribbon or cord. As the name suggests, menu cards list the menu items being served. The menu is listed in the center of the card. If wine is served, wines are listed alongside their appropriate courses. As with place cards, a monogram or duogram may appear at the top of the cards. Menu cards always match the place cards. 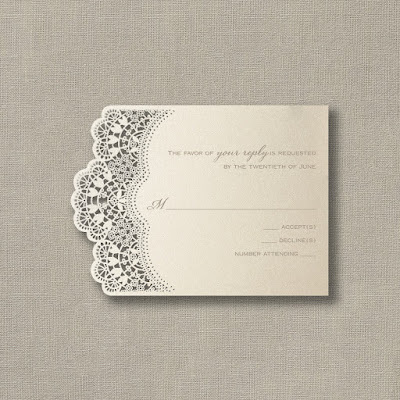 For small receptions, the are often handwritten. 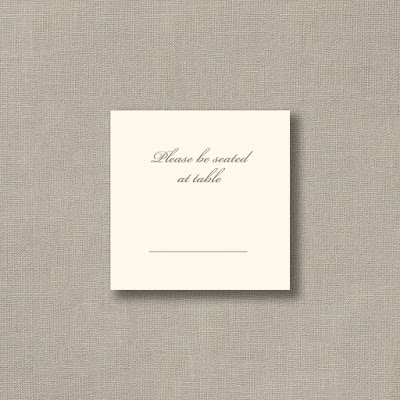 Table cards and envelopes are efficient tools for directing your guests to their appointed seats. Placed in the entryway to the reception hall, the envelopes have your guests’ names written on them. Inside the envelope, the card has the appropriate table number written on it. 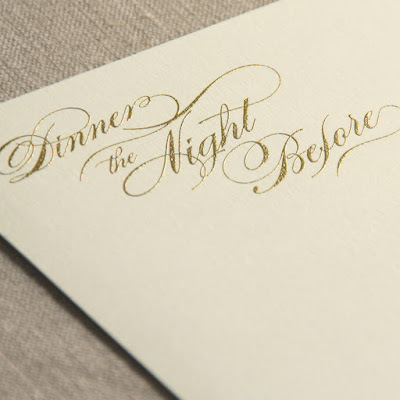 When it is time to be seated, the guests open the envelope with their names on it and head to the table indicated on the card. When they arrive at their tables, your guests will notice place cards at each place setting. 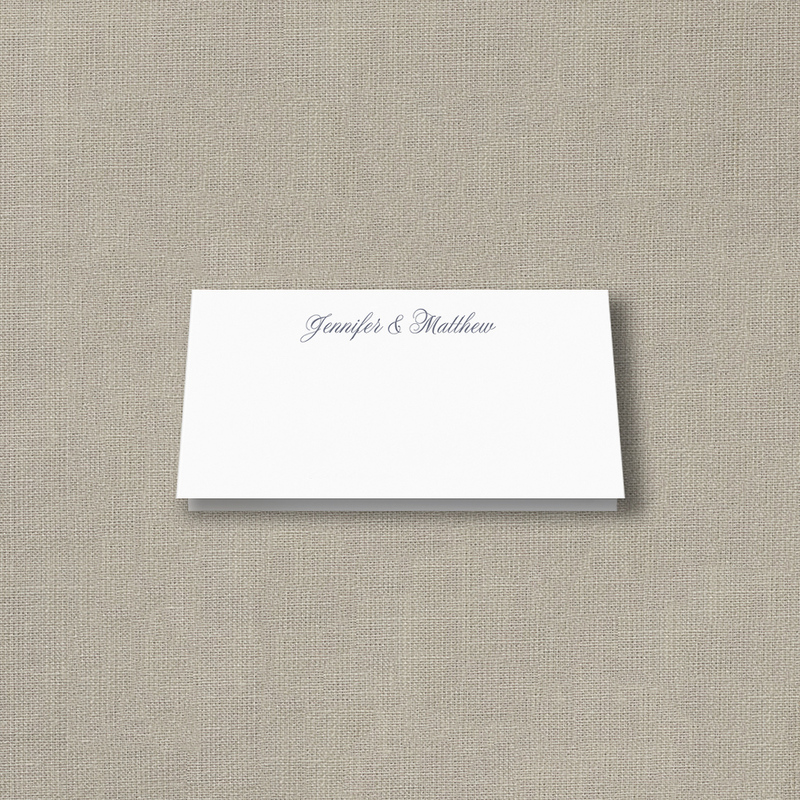 The place cards have just your guests’ title and last name written on them. However, in situations where there is more than one “Mrs. Smith” seated at a table, first names are added to avoid confusion. 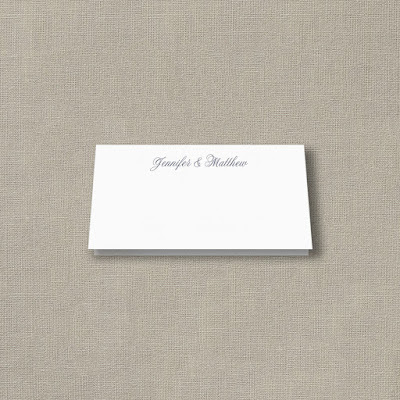 Place cards are small cards, usually in a stock, color and style that match the wedding set or theme. A small monogram or duogram may appear at the top. Thank you notes not only give a couple the opportunity to express appreciation but also let guests know their gifts were received and not lost in transit. They should be sent as soon after the wedding as possible. They do not need to match the other elements of the wedding stationery wardrobe, but they should reflect the couple’s personal style. Need to know when to send what? 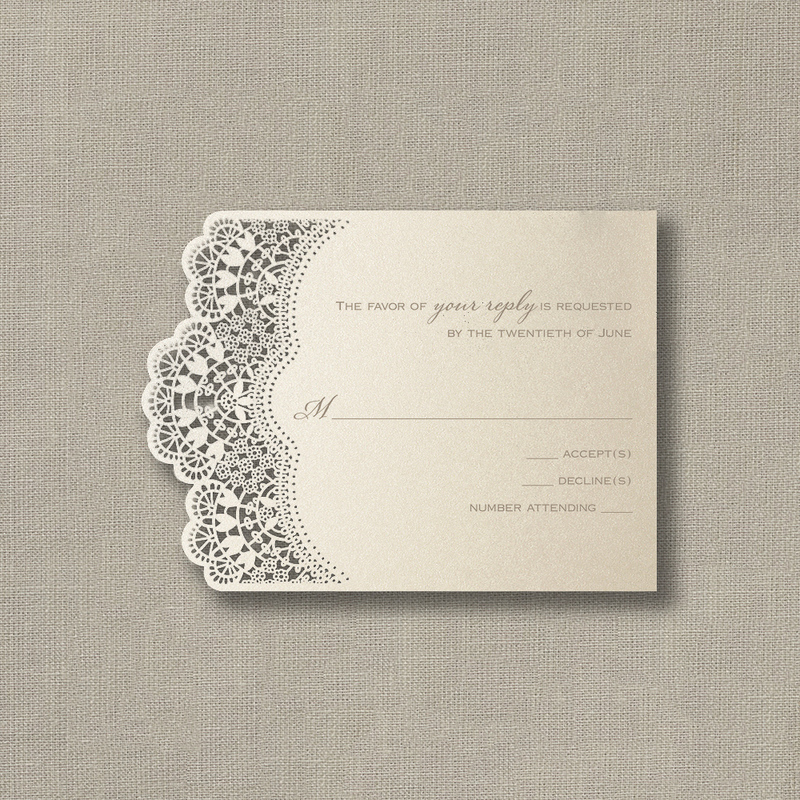 View our Wedding Stationery Timeline! 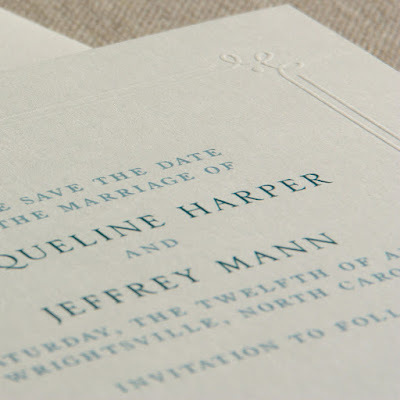 Gorgeous Wedding Invitation Cards and the color combo is awesome.